Indeed, the sea of bland grey and black laptop bags available at most electronics stores aren’t the most pleasing to the eye... so what is a girl to do? 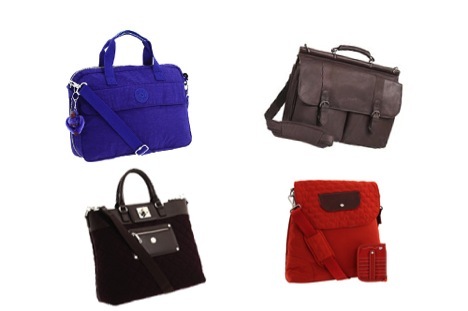 Little does the average college girl know, there are laptop bags to suit every style while still being functional. Whether you’re a traditional girly-girl, a bohemian spirit, or a crisp-and-clean honors student with style -- there is a chic carrying case out there for you. There are some of us out there who still want to be princesses when we grow up, and these bags are the perfect option. The Golla Dallas pink laptop sleeve is super lightweight and features a detachable shoulder strap for easier portability. Its bright pink color makes it a great option because of its simplicity, as well as the bag’s functionality. The gorgeous Vera Bradley bag is a definite go-to for its variety of floral and paisley designs, among others from the line. The Sherpani Nau bag is a good option for those with small laptops, but it has lots of pockets for your odds and ends. 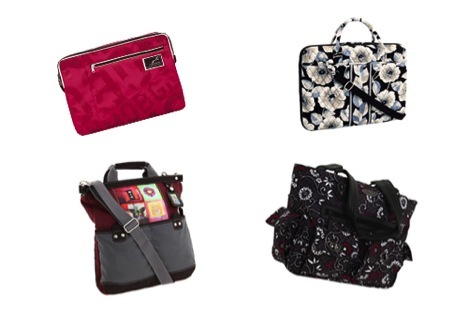 For those who are obsessed with florals, but have a darker side to their sweetness, the Dakine Ella bag is perfect. It’s very roomy and can fit everything you would need with your laptop -- all with style, of course. 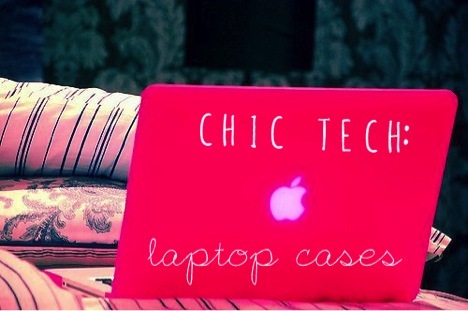 These cases are a bit quirkier for those with a wilder side they would like to show off in their tech accessories. I can’t go any further without recommending Etsy for some of the craziest, funkiest and totally creative laptop cases you’ll find out there. In addition, it’s likely you won’t see a lot of other people carrying the laptop case you purchased from Etsy, which is always a plus! If you often find yourself surfing the web aimlessly at coffee shops, go for the geometric, hipster-chic laptop case from Modcloth. If you’re an indie soul but want something a little different, then look no further than Hadaki Hannah’s wild paisley or Obey’s terrific tribal look to tote your laptop with flair. If all you’re looking for in a laptop bag is something that won’t burn your eyes when you look at it -- something simpler and classier -- then there are many great options for you as well. Kipling’s stunning messenger bag is one of my favorites, and each shade it comes in (blue violet, cafe latte and silver grey) make a subtle yet striking statement. The little monkey charm that hangs on the bag is adorable, too. If you want a polished look with a timeless leather portfolio bag, rely on the SOLO Classic. It makes for a preppy and a professional bag that is extremely durable, featuring optimal laptop security with a “hook n’ loop” closure that will keep your computer safe in its own compartment. The last two elegant bags are chic enough to rival even the hottest new handbag. The Knomo tote has a classic appeal with its black quilted pattern and is a roomy option for those who want to get the most use out of their laptop bag. The Mosey Gumption case is for those with smaller laptops (up to 13”), but also comes in many colors and has the same classic feel as the Knomo. 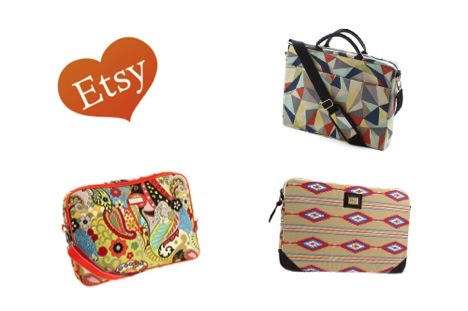 There’s something out there for every young woman who wishes to rule out the ugly laptop case. Your laptop is an extremely valuable tool while you’re in college -- not to mention your connection to entertainment and most social media -- and it’s your duty to make sure it gets put in tote-ally awesome case or bag!